The electrical system is one of the essential elements of a home. You have a lot riding on whether it works right, including your family's safety. Does that mean you always need to bring in a professional electrician when something goes wrong? There are some things you should check before picking up the phone, but save the repair work for a professional. Here are a few things electricians want you to know if you do have an electrical problem. The answer might be right in front of you, so do a little troubleshooting before you hire an electrician. If the electrical problem seems limited to one light fixture, start with the bulbs. The obvious question is, did the bulb burn out? It’s so apparent, that it’s easy to forget to check. The other, less obvious, problem electricians see is overlamping. It means the bulb in the fixture has a higher wattage then it can handle. For example, if you install a 100-watt bulb in a lamp designed to handle 50 watts. Overlamping may melt the socket and damage the wires of the fixture. That kind of damage creates a significant fire risk known as arc faults. In other words, the electricity can’t follow its proper path and may jump to the carpet or table and ignite a fire. Most houses have the easy-to-check circuit breaker. Just open the door on the circuit breaker panel and flip the switch back to the “On” position. Older homes might still have a fuse box, so look for a fuse that is cloudy or discolored. It may even be melted in some areas. If you seem to be blowing a fuse or circuit a lot, look for a pattern. In other words, are you losing power to one area of the house often? Do you have the microwave running at the same time as the vacuum? Do you have a new appliance that might be overloading a circuit? Are the Neighbors’ Lights On? If your whole house is dark, check outside to see if anyone around you has lights. If not, the likely answer is a power outage. It’s worth making a phone call to the utility company before calling an electrician to see if they can provide some information. Ground-fault circuit interrupter (GFCI) outlets monitor the electrical circuit to make sure there is an even flow of electricity. If you are having trouble with just one outlet, it may need resetting. If it is a GFCI outlet, you’ll see two buttons: Test and Reset. Press the reset button to see if that outlet starts working again. As your search for an electrician, you will see two different labels. The classifications of Journeyman and Master electrician indicate levels of training. It’s similar to getting a Bachelor’s Degree vs. a Master’s. A Journeyman can do the work but may not know as many of the details like codes. Which one is right for your project? Both are capable of completing minor repairs. 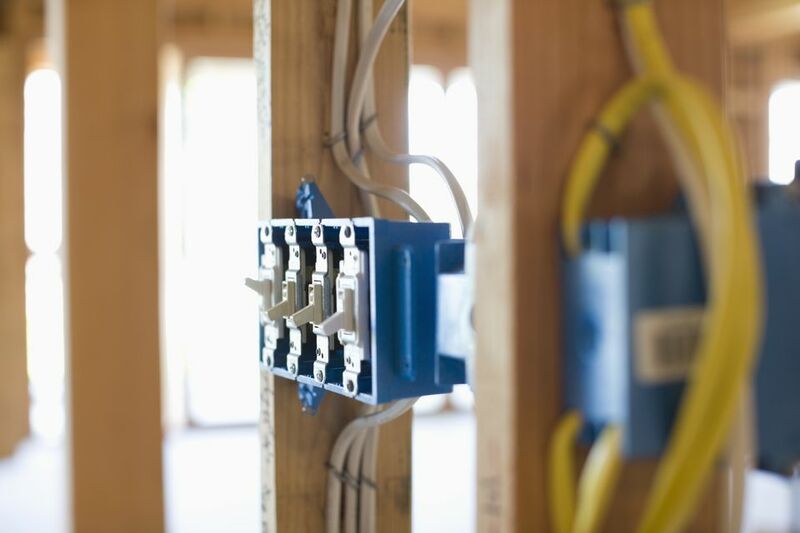 For complex jobs like reconfiguring the electrical system in your home, it might be better to hire a Master electrician. Electricians don’t work for free but when it comes to the safety of home, it’s worth the money. Once you eliminate the obvious problems, bring in a professional. If you’re seeing these symptoms, it’s time to call a professional. They may be able to isolate the problem for a small and simple fix. If the problem is serious, you may need to rewire your home. Check out sites like Angie’s List and HomeAdvisor to find licensed electricians near you.